Eric Vierra, owner of The Good Jar, visited Ranch Foods Direct last month during Farm Stand Friday; to meet customers and hand out samples of his pickles, relishes and deliciously unique rhubarb-fig spread. Pickling and preserving started out as his passion, but eventually it turned into something more. “I decided the culmination of all of my talents would be to have my own business,” he says. 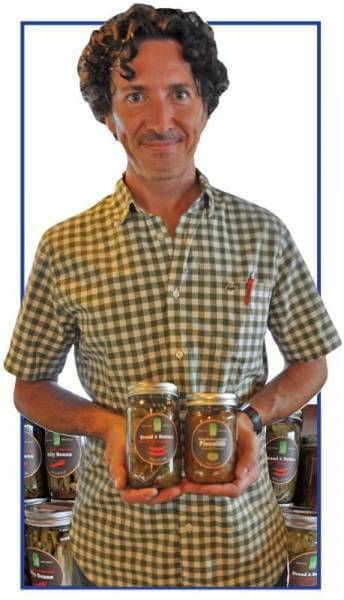 Eric is just one of many Colorado Proud food entrepreneurs featured in the store and distributed by Peak To Plains Food Distributing. Eric’s full line of pickles, preserves and jams is available every day at Ranch Foods Direct!